Review Rumours that Apple would kill the iPod may have been far from the mark, but it doesn't stop rival companies wrestling for their own portion of the portable music player pie, despite smartphones eroding this market. Indeed, Sony still knocks out respectable PMPs and its latest A-series Walkmans are slick, lightweight models with storage options from 8GB to 64GB to suit different budgets. 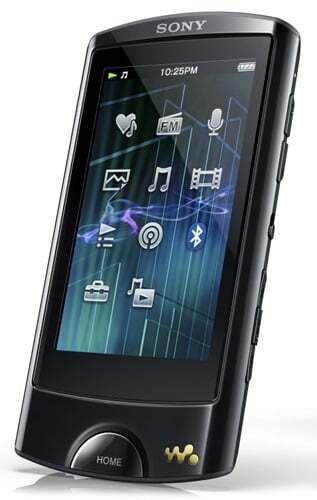 Sony's NWZ-A866 Walkman: Bluetooth streaming PMP, anyone? Featuring a bright, crisp 2.8in 400 x 240-pixel touchscreen display the 32GB NWZ-A866 is a tad on the small side for watching video, but for the casual commute, will no doubt satisfy with its support for MP4, H.264 or WMV9. Admittedly, I rarely watch video on my Motorola Defy, as I find even its 3.7in on the small side too, so each to their own. As a portable player, the touchscreen satisfies my operational needs. It's simple, easy to navigate and highly responsive. Menu icons are the customary collection of icons synonymous with Sony's UI, so anyone already familiar with it will instantly know what they're doing. It's all common sense, though, really. 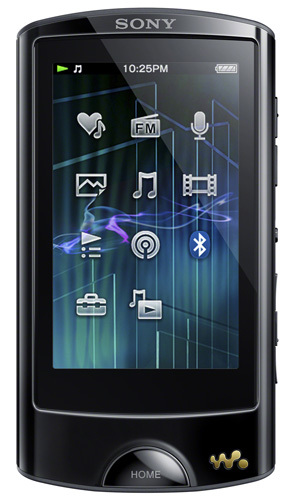 Beyond touchscreen control are standard volume and transport buttons, plus a hold switch. The only other physical button is on the front for the homecreen. Simplicity aside, the A866 crams in capabilities from FM radio to voice recording and even the cheesy Japanesy karaoke mode. However, it's the inclusion of Bluetooth streaming that broadens its versatility. Other Bluetooth devices – for instance car radios or wireless headphones – can receive a broadcast from the player, or connect up to send/receive content. This feature does seem to drain the battery life more quickly, but even so the A866 boasts a commendable 23 hours continuous playback a significant benefit over a smartphone equivalent. I didn't find myself needing a battery boost too often, that's for sure. Pic It's alive! It's alive!